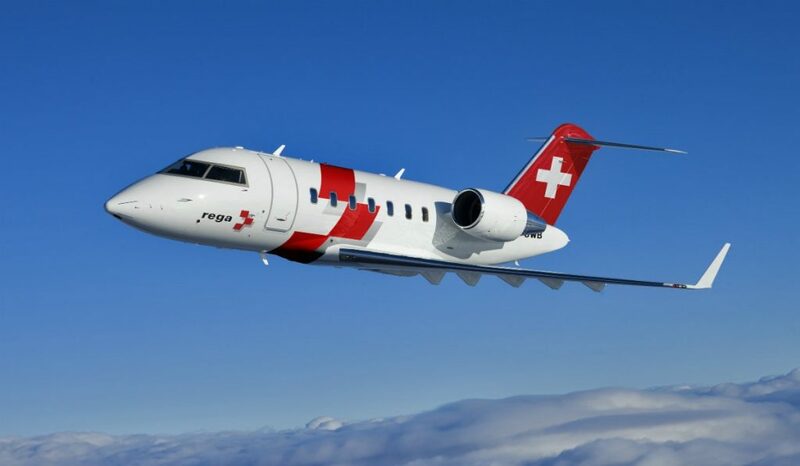 Bombardier on July 25 in Peterborough, Ont., delivered a second Challenger 650 aircraft -- converted into an air ambulance -- to its longstanding customer Swiss Air-Rescue Rega. Rega’s first Challenger 650 aircraft was delivered on April 9, 2018. The third and final aircraft in Rega’s next-generation fleet, replacing its earlier-generation Challenger 604s, will be delivered later in 2018. The specialized Challenger 650 aircraft is outfitted with intensive-care units and represents what Bombardier describes as the next generation of airborne medical evacuation. The plane maker explains the higher-thrust engines of the 650 allow for a shorter take-off distance and that the Bombardier Vision flight deck reduces pilot workload. The Challenger 650 aircraft offers a quieter cabin and a smooth ride, according to Bombadier, with what it describes as the highest wing loading of any aircraft in its class, as well as a range of 4,000 nautical miles. Swiss Air-Rescue Rega is a non-profit foundation that carries out air-rescue operations in Switzerland with a fleet of 17 rescue helicopters and repatriates patients from abroad with three ambulance jets. Rega acquired its first Challenger aircraft in 1982 and has operated Challenger aircraft ever since. “Over the years, Bombardier Challenger aircraft have proven their reliability and endurance, and helped Rega come to the aid of so many people. We are extremely proud to have our aircraft continue to play a part in life-saving work,” said David Coleal, president, Bombardier Business Aircraft.